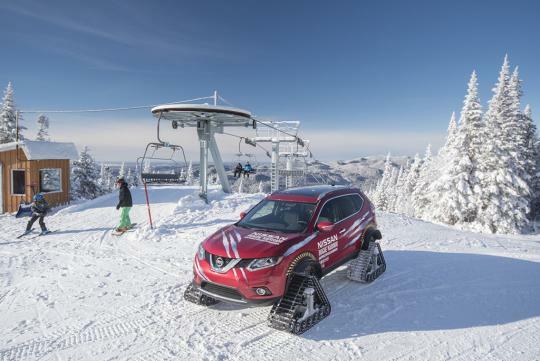 Nissan has debuted a very special car at the Montreal International Auto Show and it is dubbed the Rogue Warrior Concept. 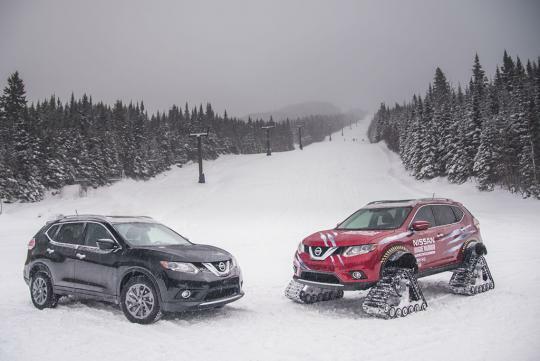 This wild-looking SUV is based on the Nissan Rogue, which is better known as the X-Trail here. Similar to famous stunt driver Ken Block's RaptorTRAX off road truck, this particular X-Trail has been fitted with a snow track system and each track is 48-inches long, 30-inches tall and 15-inches wide. These cool tracks give the SUV off road capabilities that a standard X-Trail could never dream of matching. Other than that, the vehicle also gets a new suspension system giving it a massive 23-inches of ground clearance. 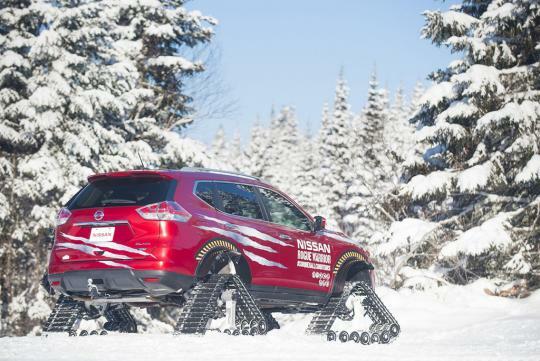 According to Nissan, it can climb a 45 degree snow-filled slope and reach speeds of up to 100 km/h.